It’s difficult for me to get too jazzed about Bluetooth speakers these days. They all do the same thing, right? Some work as speakerphones for cars while others are great for streaming music wirelessly. At the Consumer Electronics Show last month, however, I stumbled on to what I thought was an atypically unique Bluetooth speaker: the Coda One. I’ve been using a review unit for the past few weeks and while this device isn’t for everyone, it impressed me thanks to its three distinct uses. The Coda One comes with a clip so you can attach it to the visor in your car. When paired to your phone, it works like any other hands-free car solution. Being an electric hybrid, my car is pretty quiet on the road. 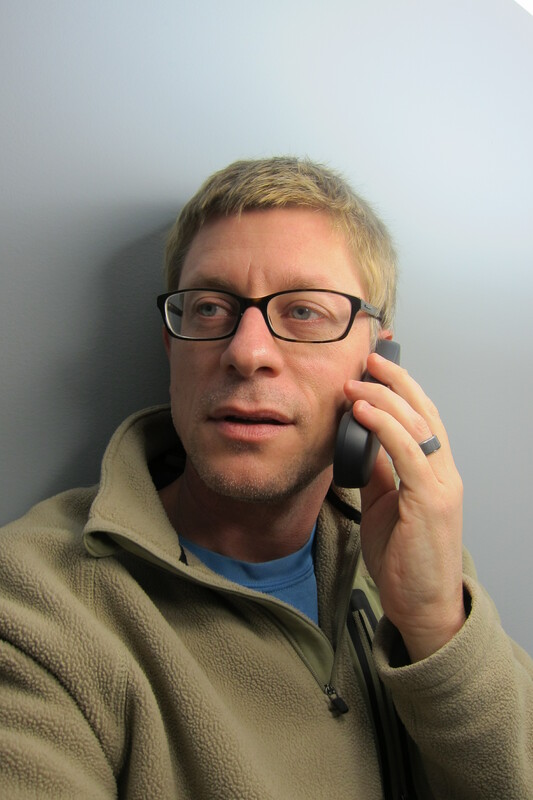 Even so, some callers said they could easily tell I was on a speakerphone. Remove the Coda One from the magnetic clip and you have a very portable external speaker. 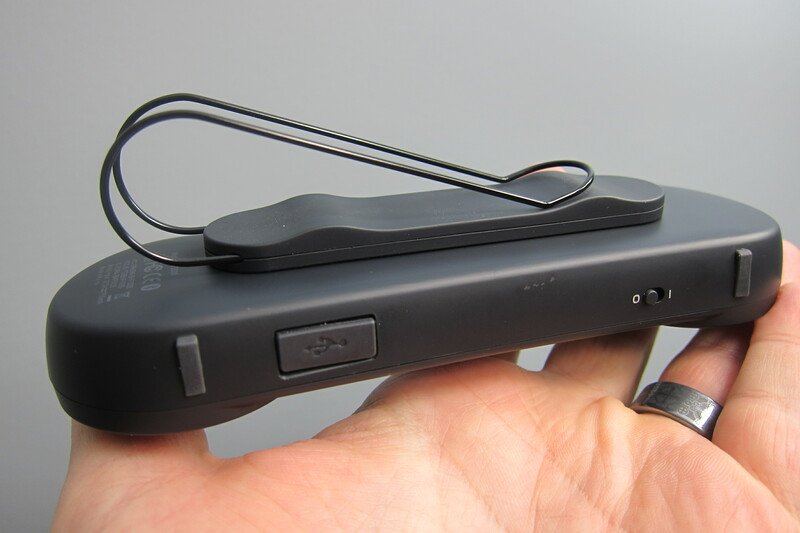 Sure you can still take calls with it without the clip, but it doubles as a music player. Sound isn’t what I’d call high-end; I use a Jambox at home to stream music in a room and the sound is much louder and richer. It’s a wireless handset too. What?!? The Coda One’s third use is my favorite. When on a call, pressing the Multi-Function Button on the device takes it out of speakerphone mode. At this point, you hold the Coda One up like a mini handset with a speaker near your ear and a microphone near your mouth. In this configuration the device is small enough that you don’t look silly talking on the phone. Heck, it’s about the length of my good old Motorola StarTAC(s goog) when it was open and in use. Why would I be excited about this? I’ve been early to the trend of phones getting bigger at the same time tablets have shrunk in size. I’ve even used a 7-inch tablet as a primary phone with VoIP for months at a time. Instead of looking the fool with a tablet alongside my head, the Coda One becomes a perfectly sized handset for larger devices. 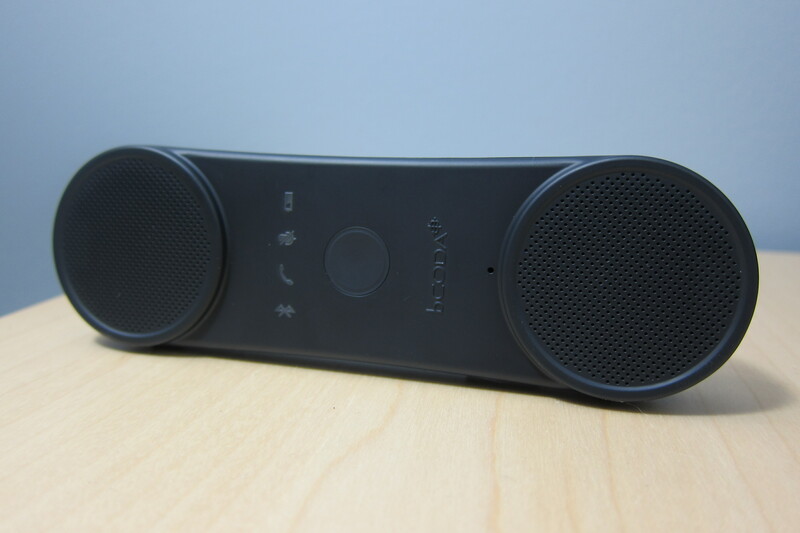 Overall, I like concept of the Coda One although I wish the sound quality in speakerphone mode were a tad better. It doesn’t have its own voice command capabilities, but can be used with one on your smartphone: Siri and Vlingo are specifically mentioned and I used it with the voice controls built into BlackBerry 10(s bbry). Coda One supports multi-pairing — up to eight devices — and battery reportedly lasts for 20 hours of talk time or 40 days of standby. Supported Bluetooth 3.0 profiles include HFP, HSP, PBAP and A2DP. The Coda One is expected to launch with a $99 price tag. Are there better hands-free speakerphones? Yes. Are there better wireless speakers? Yes. But few can do everything the Coda One does in various places and if small tablets do become large voice-capable devices, I could easily see myself buying one of these versatile Bluetooth devices. Then I won’t look like this when having a conversation on a tablet. Not too jazzed up about the wireless handset, However, if it did FM broadcast to your car stereo, i.e. bridge blue tooth a2dp headset stereo to FM radio and could pair with my iOS device, I’d buy it in a heart beat. this would be great, sometimes i’m sitting in the car with the kids and they’re watching a movie, and the sound can make using a speakerphone difficult. If the clip would slip over my ear I’d have the best of four worlds — a bluetooth earbud. That would be a grand slam!